If I had the choice to just use one essence for an entire year then it would be the LJH tea tree 90 essence. LJH is a Korean brand that calls itself the “fist Doctors Cosmetics” in Korea, a new concept of doctor’s cosmetics which combines cosmetics and medicine. The brand was established by the dermatologist Leejiham in 2000, the company has also dermatology clinics headquartered in Seoul. The LJH tea tree 90 essence is a cult bestselling Kbeauty product, if you have been reading about Kbeauty somewhere then chances are high this essence will be mentioned. The blogger community loves it and I know why, its effective! The essence is supposed to get rid of redness, irritation and even out skin tone. Its specially formulated for acne prone skin, but all skin types can benefit from it. Ingredients list: Melaleuca Alternifolia (Tea Tree) Extract, Cellulose Gum, Sodium Hyaluronate, Trehalose, Centella Asiatica Extract, Hippophae Rhamnoides Extract, Biosaccharide Gum-1, Tremella Fuciformis (Mushroom) Extract, Buddleja Davidii Extract, Thymus Vulgaris (Thyme) Extract, Methyl Gluceth-20, Citrus Grandis (Grapefruit) Seed Extract, Bambusa Textilis Stem Extract, Pinus Palustris Leaf Extract, Caprylyl Glycol, 1,2-Hexanediol, Butylene Glycol. The essence is formulated with 90% of natural tea tree extract, first ingredient (see its in the name 90). Tea tree as an ingreinditent is known for its antibacterial properties, often used as an anti-acne treatment. Further, it also has anti-inflammatory functions and acts as an antioxidant. Looking at the Cosdna the formula looks completely clear. Most of the remaining ingredients are antioxidants, anti-inflammatory extracts emollients, humectants. The essence is formulated without parabens, silicone's, colorants, alcohol, mineral oils. I really like the bottle design; it’s sleek, simple and modern. The bottle is round with a dropper dispenser, very hygienic. What does it promise? well you can’t miss it, here its written on the bottle (as well as cardbox): 3X 'sebum care', 'natural moisturizing' and more 'brightly'. Apply the essence after toner, its feel very refreshing and absorbs in less than a minute. I use 2-4 drops for my entire face; you can apply more on troubled areas. The formula is very liquid, colorless and doesn’t smell of anything particularly. I used to have active ancne (cheek area), but that was long before I got into asian beauty, now its in the past. However, some 'hormonal' induced pimples will still pop up occasionally. I started to use the essence mainly as an acne preventive treatment. 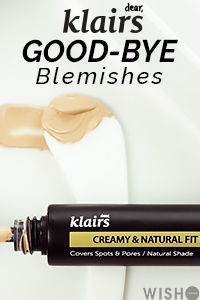 The first thing I noticed is how lightweight the formula is, it doesn’t leave any stickiness behind and seems to decrease redness and inflammation. I was impressed and kept using it twice a day for over 8 months now. My skincare routine is usually long, so I try to isolate a product first, then use it for a long time, go without it for a while etc., lets say everything to get a good impressions of the effects in has on my skin. I can tell you now that the essence is probably one the reasons I got rid of my "occasional acne" breakouts (although, its not the only reason). The thing I love most about the essence is how hydrating it is. Most tea tree products for acne skin issues tend to be drying, but that’s not the case with the LJH essence, despite it having a concentration of 90% tea tree extract. I must admit I have become an LJH fan by now, I have the entire LJH Tea Tree line in addition to the LJH propolis line; the LJH tea tree cleanser, mist toner and cream. They are all very good products, liking them all! I will definitely review them in the near future. The essence is very hydrating and lightweight. Its keeping my acne prone skin blemish free and is also effective against redness. So, if you have troubled skin this will be a perfect choice. Its probably the best anti-acne kbeauty product I have tried so far. I didn't notice any significant brightening effect but my skin tone did look more even after repeated use. For folks with troubled skin I would recommend to try the entire tea tree line, the effects will be amplified. You can purchase the LJH essence from many web shops, I buy my backups from HKCplaza, they have huge sales but the custom service is poor (my frustrations with them are for another post), but you can still buy it from HKCpalza for 18SGD on sale now (don't worry they will send it but if something happens then the custom service is difficult to reach and poor communication). Its also available on Amazon* for 27$/ Glowrecipe for 45$/ memebox for 45$. I love this essence and I have yet to find something out there to beat it as an anti-blemish product, so its getting the highest score, HG! *This post contains affiliate links marked with an asterix, shopping with them supports the blog. I've been using this as well and really love it. I got it for a decent price with Tester Korea. Tea tree oil is also a chock full of antioxidants that help fight wrinkles and aging skin. I am also using tea tree oil for my skin with Lifecell anit wrinkle cream Its a perfect combination..